Some physicians are uncomfortable with the new fibromyalgia diagnostic criteria and they do have genuine concerns. See my blog, "Out with the Old in with the New." There appears to be a lack of regard by some to connect symptoms of conditions that overlap with fibromyalgia. This makes it even more important for us to know how to describe our symptoms. Our physicians are charged with a great deal of responsibility when there isn't a biological marker. Biological evidence includes blood test, a particular rash pattern, or obvious joint deformity such as seen in AnkylosingSpondylitis, other arthritic conditions, and more conditions associated with fibromyalgia. Experts agree that depression can be secondary to any chronic pain or illness state. However, patients with primary "major depression" can have many of the symptoms described by those of us with fibromyalgia. This can make it difficult for physicians to make what we call a "differential diagnosis." Proper diagnosis is key to finding the right treatments. 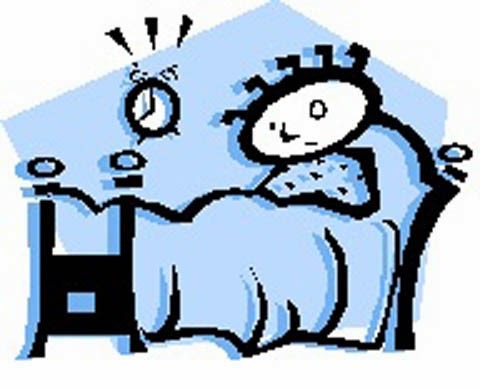 Inadequate or disrupted sleep disorder is a primary symptom of FM, causes fatigue and can contribute to depression. During the normal stages of sleep, we should heal. However, in FM those particular stages are often missing. Have you had a sleep study? Sometimes a good sleep specialist can help us. Non-restorative sleep is a primary symptom (fatigue) in both the new or the old diagnostic criteria, and fatigue is not a symptom exclusive to fibromyalgia. It is important that a differential diagnosis between major depression and fibromyalgia is made because when the wrong diagnosis is made, inappropriate treatments can be rendered. Delaying treatment for "major depression" can lead to suicide. I cannot stress enough that this type of depression needs immediate care, it is NOT the same as situational depression associated with chronic pain and illness, and it is NOT the type of depression we experience from living with chronic pain. Untreated or undertreated pain is also linked to suicide, but it is the pain, not depression, at fault here. There is an entire chapter in our +400 page 8 1/2 x 11 inch book Integrative Therapies for Fibromyalgia, Chronic Fatigue Syndrome, andMyofascial Pain that is devoted to knowing your body, what information your doctor is seeking, and how to describe and log your symptoms, reactions to medications, and more. These tools will help you understand the differences in depression, fatigue, and symptoms that can mimic other conditions. Having this information can help your physician in making the right diagnosis. Have you had emotional despair because of a particular situation? If so, you might consider talk therapy. It is still important to address our depression in order to provide healthy feedback to the brain. Neuroscience tells us there is a mind-body connection. Have you been checked for a metabolic problem that can cause fatigue, muscle aches, and pain? A metabolic problem such as thyroid resistance or insulin resistance (specific testing, not routine, is discussed in Integrative Therapies....) hypothyroidism, or adrenal problems can make FM symptoms worse, and some experts believe they have a connection to fibromyalgia. Medications or medication interactions, fibromyalgia, ME/CFS, Lyme's disease, Lupus (SLE), depression, metabolic disturbances and other overlapping conditions can cause fatigue and interfere with our quality of life. If your physician is not paying close attention to your complaints of fatigue, non-restorative sleep, and cognitive problems; if he/she does not know enough to do a sleep study or check for underlying metabolic problems, it might be time to move on. (See how to find the best care here). For men with FM, fibromyalgia is NOT female exclusive. One in seven patients are men. As men step forward, I suspect we will see changes in those statistics. We know that FM symptoms in men, like heart attack, don't present the same way, and men are taught to suffer in silence or "buck up." Speak up, you could help millions of other men in your shoes. Thanks for such an informative post. Really liked the way you explained everything in depth. One should get themselves treated in a good fibromyalgia treatment center and get relief from their pain.